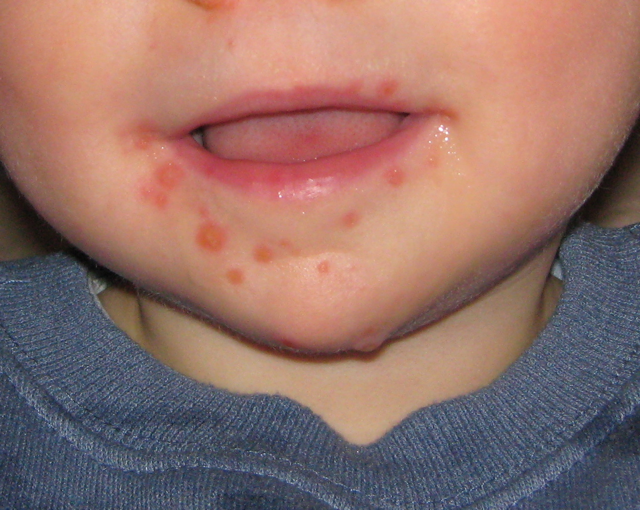 Hand, foot, and mouth disease is a viral illness characterized by the appearance of sores inside the mouth. The sores usually appear on the inside surfaces of the cheeks and gums, and on the sides of the tongue. The sores can also appear on the hands, especially on the palms and fingers, and on the soles of the feet. This disease occurs mainly in children under 10 years of age, but it also occurs in young adults. The illness commonly begins with mild fever, sore throat, loss of appetite, and a general feeling of not being well (malaise). In the next 2 days, painful sores commonly appear inside the mouth and on the tongue. The illness often produces a sore throat and pain upon swallowing. In most children, but less often in infected adults, the sores are accompanied by a non-itchy skin rash that appears on the hands and/or feet. The skin rash is characterized by red spots, and sometimes with blisters, on the palms of the hands and soles of the feet; it may also appear on the knees, elbows, buttocks or genital area. Not everyone will get all of these symptoms. Some people, especially adults, may show no symptoms at all, but they can still pass the virus to others. The symptoms generally appear 3 to 6 days after being infected with the virus. A person is most contagious during the first week of illness and can sometimes remain contagious for days or weeks after symptoms go away. Hand, foot, and mouth disease is not transmitted to or from pets or other animals. An infected person can spread the virus to another person through close contact, coughing or sneezing, contact with feces and contact with contaminated objects and surfaces. It can also be spread by saliva through kissing or sharing drinks. 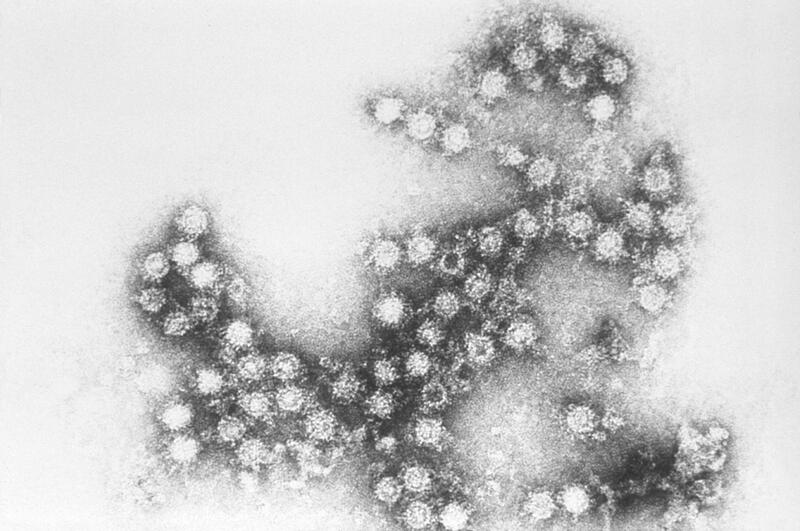 It is possible to get infected with the viruses that cause hand, foot, and mouth disease if you swallow recreational water, such as water in swimming pools. However, this is not very common. This is more likely to happen if the water becomes contaminated with feces from a person who has hand, foot, and mouth disease and is not properly treated with chlorine. Health care providers can usually identify mouth sores caused by hand, foot, and mouth disease by considering —how old the patient is, what symptoms the patient has, and how the rash and mouth sores look. Depending on how severe the symptoms are, samples from the throat or feces (stool) may be collected and sent to a laboratory to test for virus. There is no specific treatment for this disease; it typically resolves on its own within days to weeks. Some things can be done to manage symptoms such as; taking pain relievers or using mouthwashes and sprays to numb mouth pain. Many different viruses can cause Hand, Foot and Mouth disease so recurrence is common. 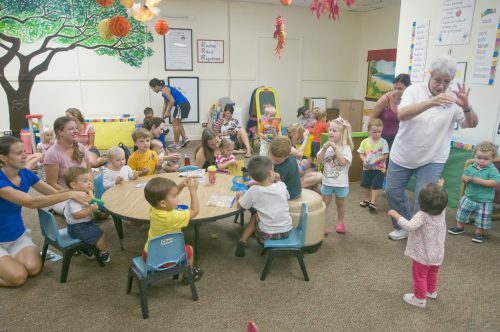 In the tropics, this condition can occur throughout the year and outbreaks generally occur among young children (in nursery schools, child care centers, preschools, and households with many young children). Where practical, reduce person-to-person contact with infected individuals. In general persons should stay home from school or work as long as they have fever, malaise and diarrhea/cough/runny nose. If they get a rash (sores) persons may return to work or school after their rash is gone (skin is clean, dry, not weeping or open). Wash hands with soap and water when handling or disposing of materials used by an infected person. Promote proper hand washing techniques and other hygienic measures at home or in the classroom. Disinfect dirty or contaminated surfaces and soiled items with soap and water and also with a dilute bleach solution for at least 5 minutes.